Hungry Jax Kitchen is a food catering service located in the Los Angeles Area. Jax’s Kitchen specializes in catering both special events and private events ranging from corporate events, birthdays and weddings. 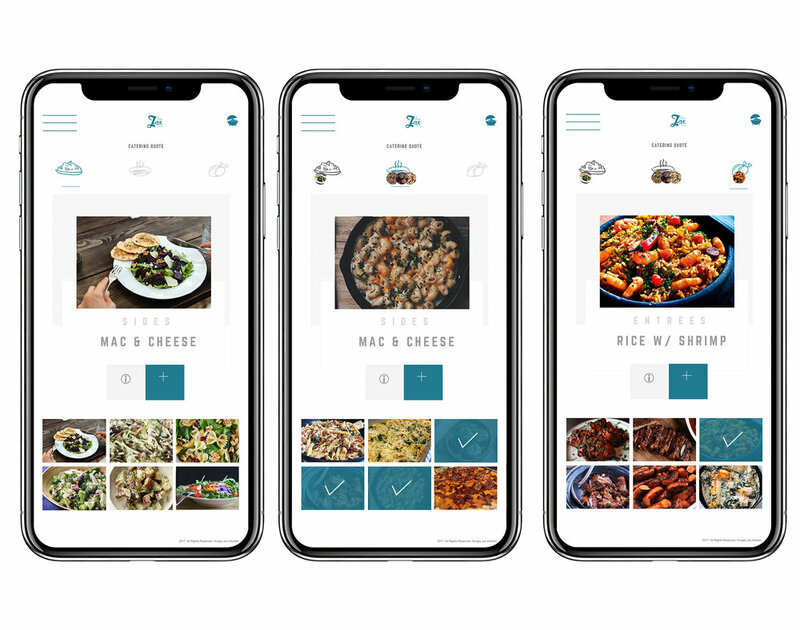 Hungry Jax’s Kitchen was lacking adequate media presence because their website was outdated and did not sufficiently meet their marketing goals. They approached me seeking a current website with a more appealing look to did not have a current website and they were looking for a site that would help them generate more business. To meet Chef Ale’s business objectives while concurrently providing new users effortless access and exposure to Chef Ale’s services. Chef Ale wanted to communicate to potential clients his unique cooking style. Moreover, he wanted the website to provide online quotes so that potential clients could ascertain the costs for his services. 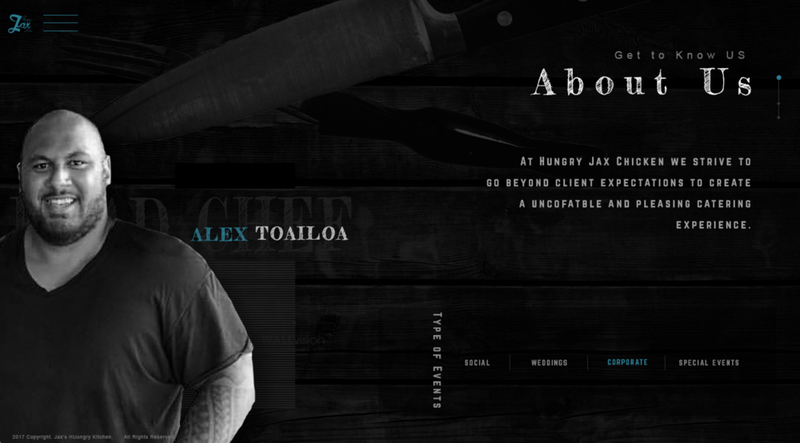 Chef Ale wanted the website to convey his professionalism, services offered and his unique cooking style. 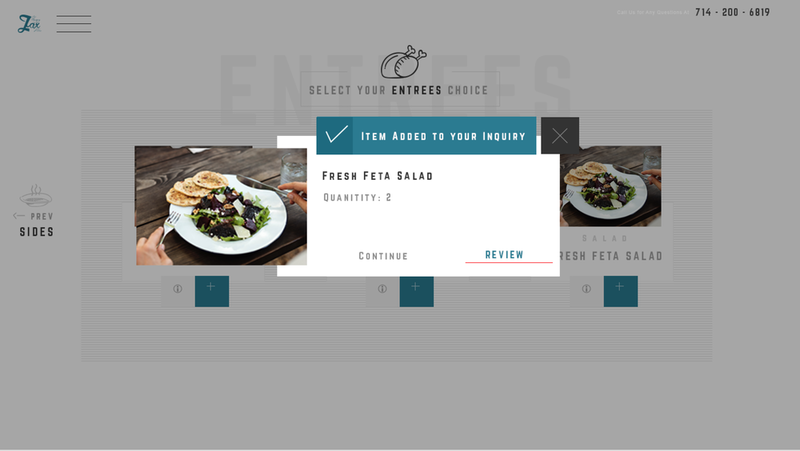 Critically, he wanted to ensure catering requests were seamless and intuitive. The toughest challenge will be identifying the target audience and to taylor the website’s presentation and communication to that audience. Another significant challenge is verifying the menu and services Jax Kitchen provides. There was some information provided that was not completely accurate, thus I will have to check in with the restaurant to present accurate information. Furthermore, Jax is seeking a simple design as to not overwhelm users. Thus, it is imperative to utilize the page efficiently to present critical information while not cluttering the page with information. One of Jax’s main request was a catering quote form on the website. Because these forms can be long and tedious, designing a successful form was a challenge I was really looking forward to. From the home page a user can quickly interact with the form and begin the process. 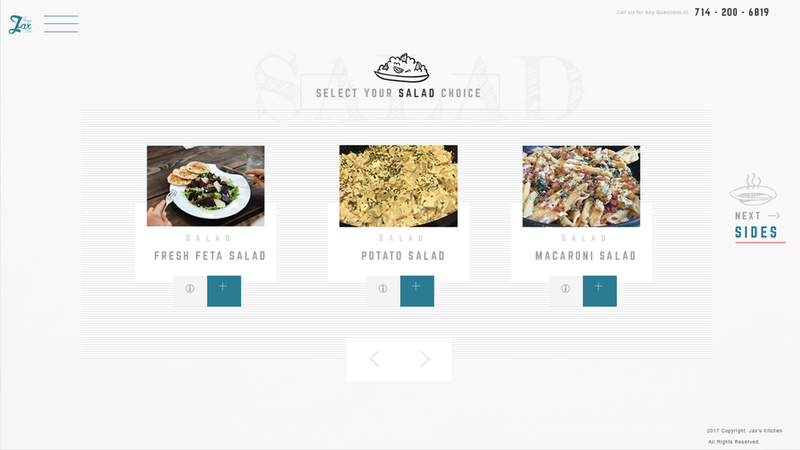 The form was divided in two three categories (like his Menu); Salad, Entree and Sides. 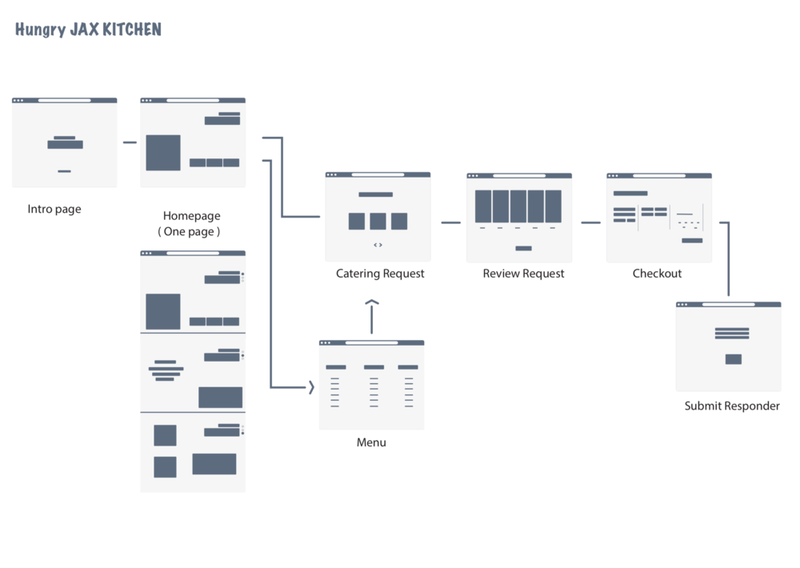 The forms design gives the potential client a visual representation of their request via the web. As such, the potential client can make a more informed decision regarding their catering needs. 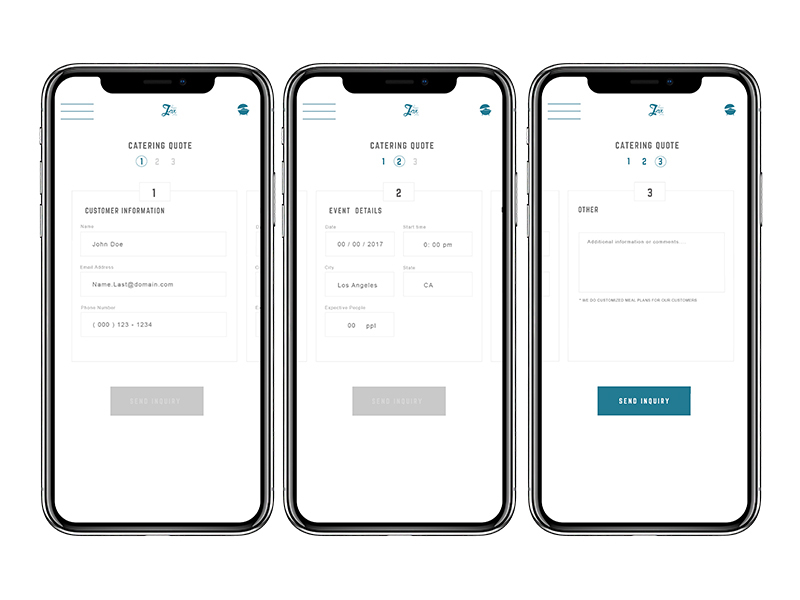 Based on the data the user inputs, Jax will provide an estimate to the customer.